Learn the basics of hand papermaking as we explore basic techniques and experiment with different botanical ingredients. No experience necessary. 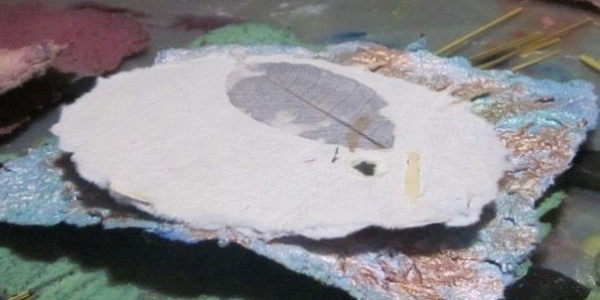 Papermaking is a perfect medium for beginners, and for experienced artists it is unlike any other medium! We will learn the basic history of papermaking, the fundamental materials and tools, and then we will literally dive into sheet formation as we use beautiful flowers and other botanical items to design and enhance each sheet. Items may be gathered outdoors for use in paper designs. Students will leave with their "wet leafs" and be offered ideas for further exploration and development. Each paper can become a framed work of art, an item of stationery for personal use, or a card to offer for upcoming Mother's Day! Be prepared to get wet and messy and to learn this exciting renewable technique.